JB Pritzker: “We face big challenges, and under Bruce Rauner things have only gotten worse.” Learn more about this candidate. Pritzker running mate Juliana Stratton: “We need to lift up your voices, we need to bring people together to move our state forward.” Learn more about this candidate. Bruce Rauner: “This election isn’t about Republican vs. Democrat. It’s about the people of Illinois vs. our corrupt political insiders.” Learn more about this candidate. Rauner running mate Evelyn Sanguinetti: “You can’t overturn decades of mismanagement in just four years. We need another term to finish our fight for reform in Illinois.” Learn more about this candidate. Grayson Kash Jackson: “I want to start fixing the problems in this state without putting the burden on the citizens of Illinois.” Learn more about this candidate. Jackson running mate Sanjeev Mohip: “A lot of candidates say they want to be the mouthpiece for their party or their movement; I would like to be the earpiece.” Learn more about this candidate. 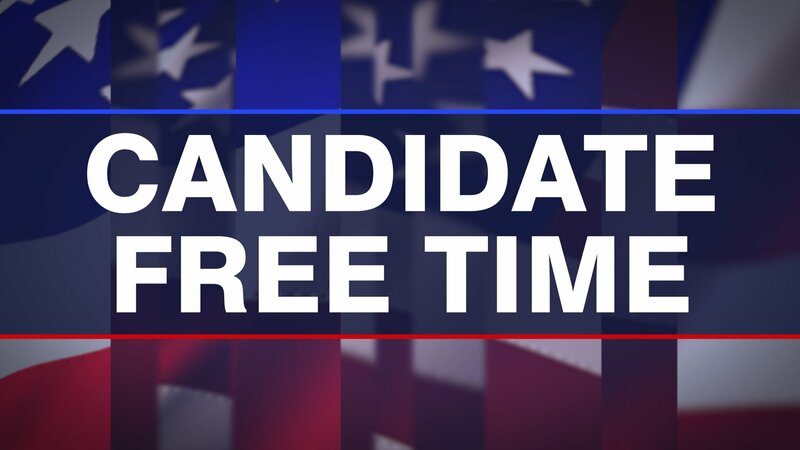 William “Sam” McCann: Did not participate in Candidate Free Time. McCann running mate Aaron Merreighn: Did not participate in Candidate Free Time.